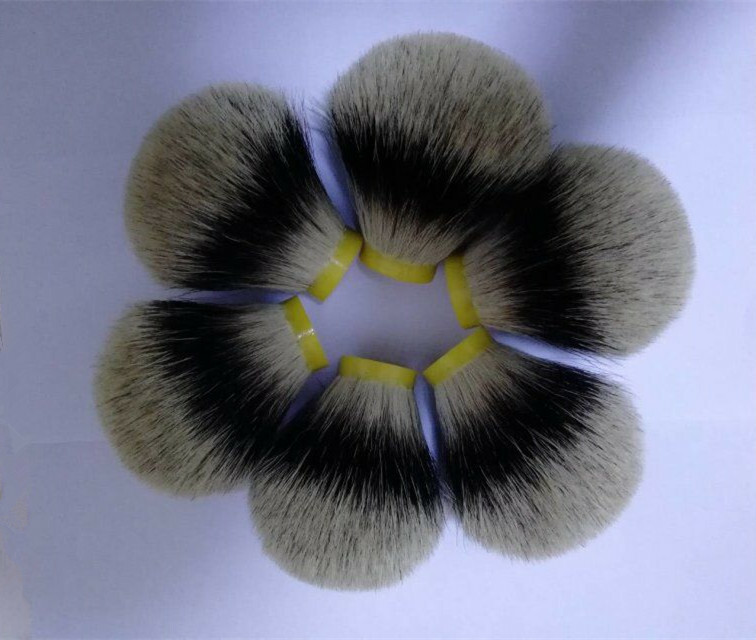 The badger shaving brush knots can be divided to silvertip, super, finest, best, pure and black badger knots. As with most things, these different knots come with their pros and cons, and that`s where personal preference comes into play. Some people need soft knots, and some people need stiff knots. Some people want loose hair knot, but still others need high density knots. 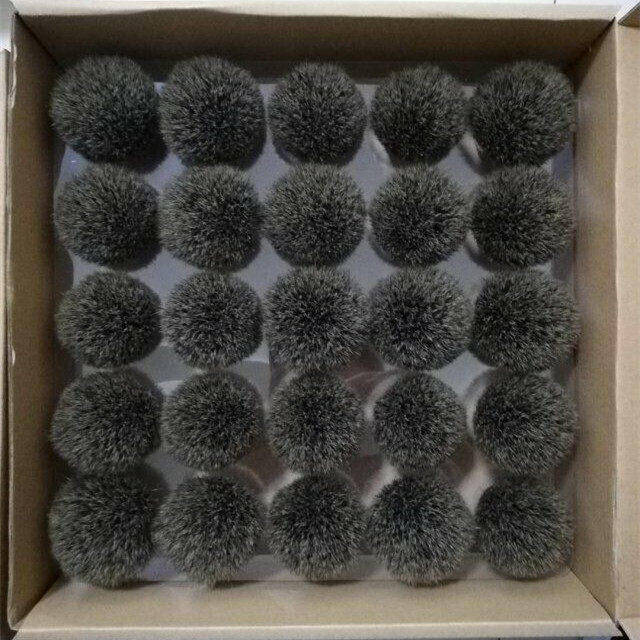 I introduce this bulb shape best badger brush head to you. Best badger comes from the side and legs of the badgers. 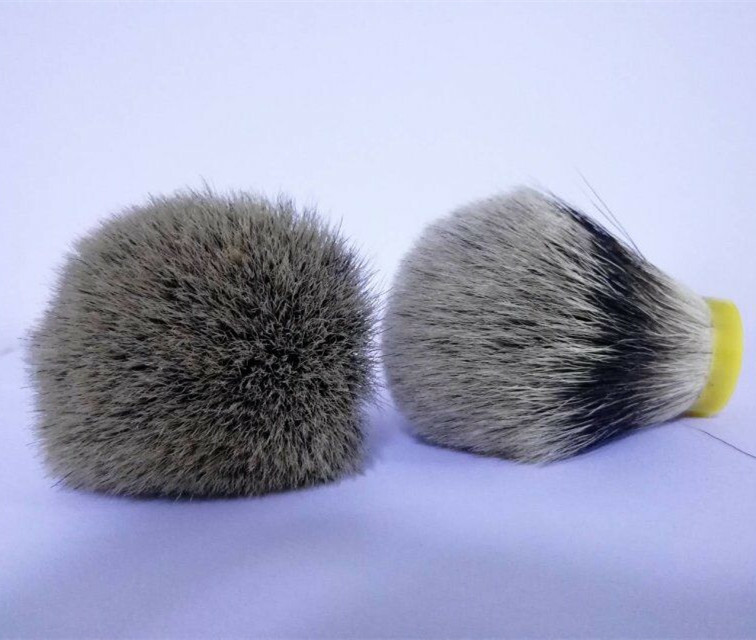 So the quality of best badger hair shaving brush knots are a little coarser and darker than the better grades of hair. 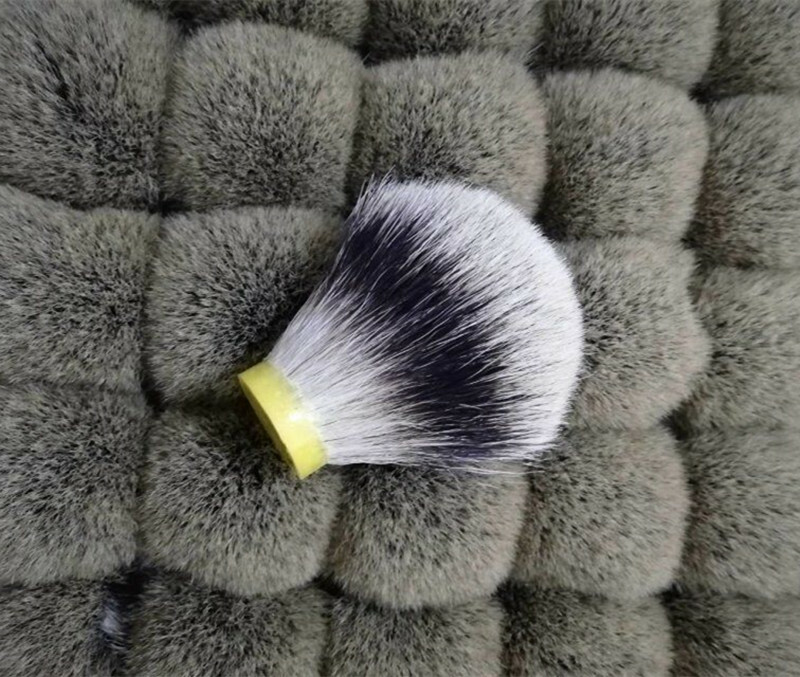 The color of best badger shave brush head can vary from gray to brown, and sometimes even black. 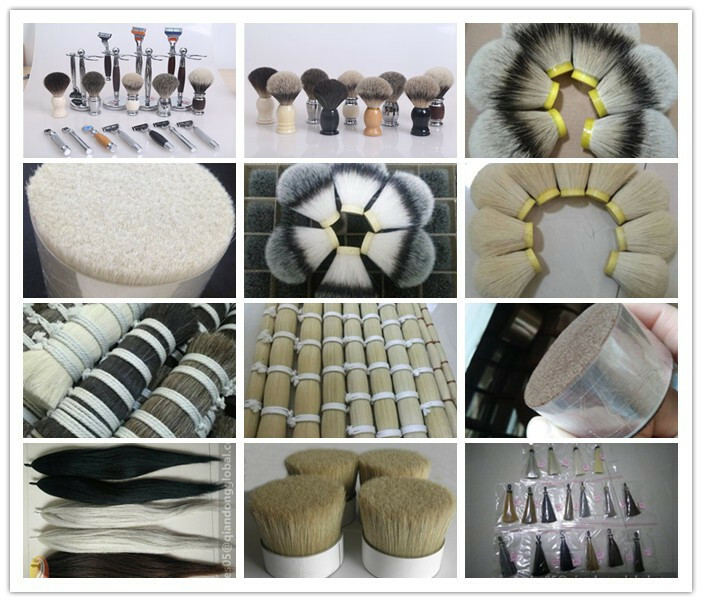 What is bulb shape shaving brush head? 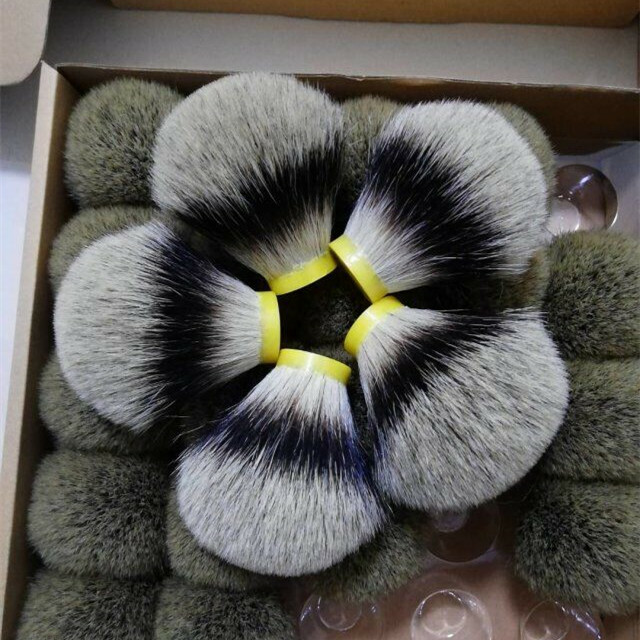 That is to say the brush heads' apperance looks like a bulb. The bulb shape head has a round knot head, which results from the shorter hair around the head. 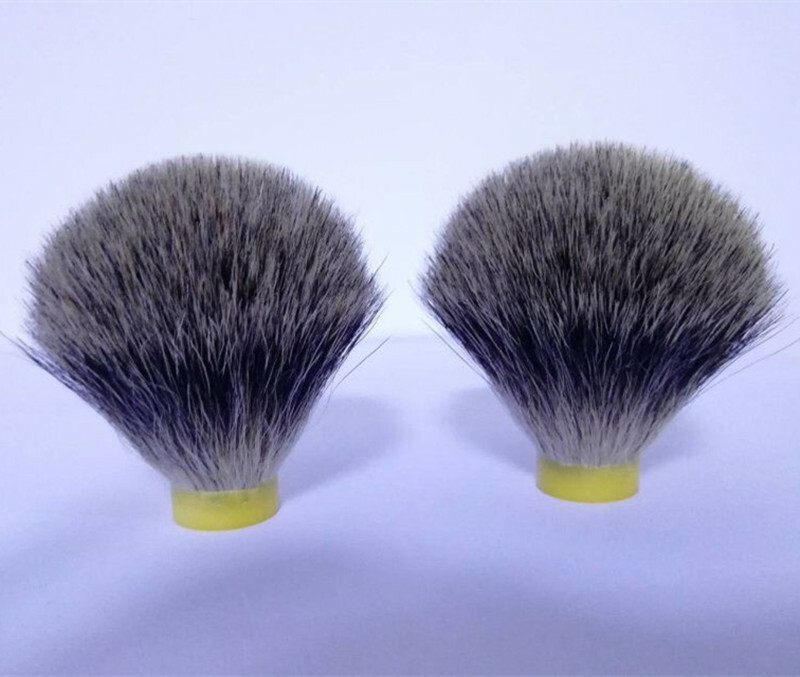 Bulb shape brushes offer more control than fan shaped brushes this might be the best option for beginner shavers.